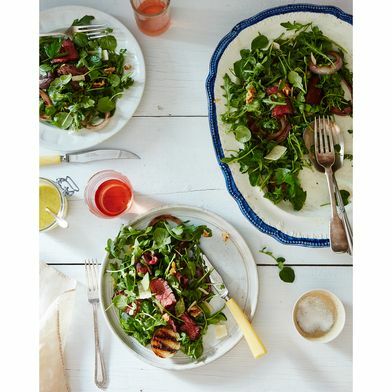 Our new book, Mighty Salads, will get you making and eating salad for dinner. No, really! 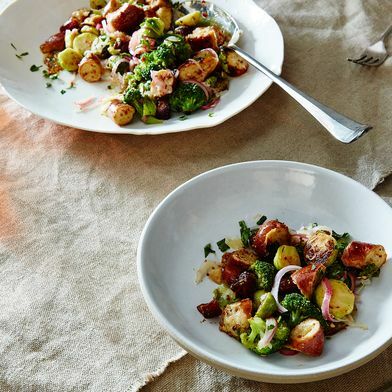 It takes what's traditionally a side dish and gives it a whole new look—something interesting bite after bite, something meal-worthy. 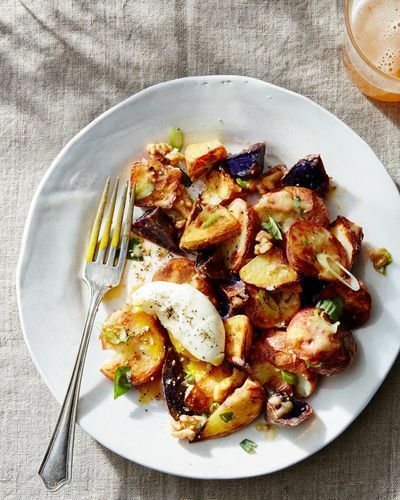 Fire up the grill, turn on the stove, or heat the oven—you don’t expect one of these to be the first step of a salad recipe, but when you incorporate cooked foods you love (in Mighty Salads, you’ll find everything from roasted 'taters to grilled lamb to fritters), you'll pay a lot more attention to your salad. 2. Put down a puddle. You know to think about how to garnish the top of a salad, but what about under the salad? 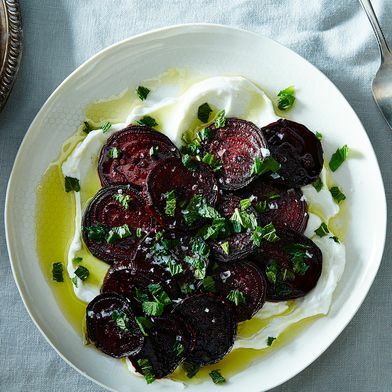 Pick out your biggest plate, spread a puddle of yogurt or crème fraîche, lay your salad on top, then swipe each bite through something creamy and luscious. A dressing adds flavor, seasoning, and a requisite liquid to a salad, but it can also be an opportunity to amp the salad to main-dish status. Mighty Salads has a warm bacon vinaigrette, a melty cheese vinaigrette—even one made out of hard-boiled eggs! 5. When in doubt: bread, toast, crumbs. When you’re struggling to sort out how a salad can fill you up, remember that bread likes to dive into the salad. How, though, is your chance to play. Cornbread croutons for a smoky collard green salad. Toasted rye bread crumbs for a mustardy, bacony kale salad. A chickpea salad balancing atop a toasty piece of bread. A pretzel panzanella. This article was written by Ali Slagle from Food52 and was legally licensed through the NewsCred publisher network. Please direct all licensing questions to legal@newscred.com.